Home » Australia » Swede trimming: one job…two points of view! If you wish to share your fruit picking experience among the community, please don’t hesitate to contact us, it will be a pleasure for us to do an interview about your experience! Pick The World (PTW): Hello Guys! So today, you are here to tell us about your experience as “swede trimmers” in Tasmania. Did you have much experience in fruit picking before this one? Celia: My experience in fruit picking was pretty limited at that time. 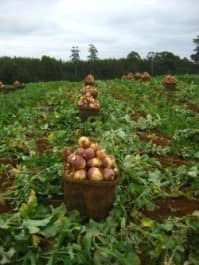 I picked some oranges and onions for a few days in Griffith (NSW, Australia), but I stopped because the money was really bad. Also, I had done a few weeks of cherry picking on the mainland, but that was it. I was still a beginner in fruit picking! Ben: Actually I did! My first short experience was in 2007 in Canada, where I picked cherries for about 10 days. When I arrived in New Zealand in November 2008, I quickly run out of money, and as it was the cherry season in Central Otago, I gave it a go! 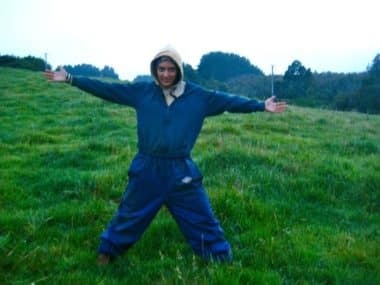 From there, I kept following the fruit seasons in the South Island, and took some holidays when there was no job available. I crossed to Australia in February 2010 and straight away I started an apple-picking job in the Huon Valley, in Tasmania. So I was already an experienced fruit picker when I took this job as a swede trimmer. PTW: What decided you to go for swedes picking? Celia: When I arrived in Tasmania, a little bit after Ben, I thought I would be able to do some cherry picking as the season was full on. Unfortunately I arrived a few days too late, and all the jobs in cherry picking were already taken. After knocking at all the doors I possibly could, I had to admit that there were no more jobs available! I even started to pick some blackberries on the side of the road. I was selling them in the streets of Hobart. 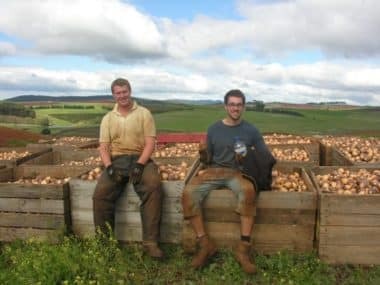 It was a fun activity, but moneywise, it wasn’t that great at all!As I was quite desperate for money at this time, I had to find a job, no matter what.That’s when Ben told me that we could go in the north of Tasmania to pick swedes. He knew that they had job available most of the year. Even if he told me the job was hard, that was my only chance to get a bit of money. Of course, I couldn’t say no to this opportunity! Ben: Well… the first time I didn’t really decide anything to be honest! In early April, I got sacked from my apple picking job because they had too many pickers and gave priority to their regulars. I needed to find another job quickly, and I called some friends in Devonport, who told me they were staying in a Working Hostel where they got offered an apple picking job the next day after they arrived. Apparently there were over 120 backpackers in the same hostel and everybody had a job either in an orchard, a packinghouse or in a veggie farm. The following day I was on my way to Devonport! Almost one year later, as Celia was struggling to get a job in southern Tasmania, we went back together to Devonport to trim swedes for a few weeks. 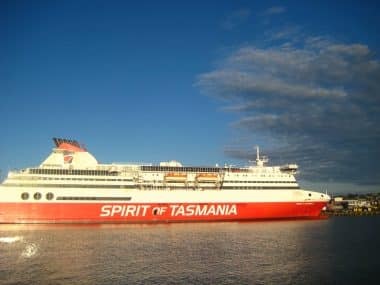 PTW: Is it difficult to find some job in Tasmania generally speaking? Celia: I guess it depends when and where, like in many other places. In my case, I clearly didn’t ask myself enough questions before coming to this state. As I arrived mid January, many people were already here for the cherry season and then the apples. It made my job search clearly more difficult at this time of the year, especially in the Huon Valley where most of the cherry and apple orchards are concentrated. Ben: From my experience I would say that it’s quite easy, or at least easier than in many other places in Australia. That’s particularly true during the winter because as it’s pretty cold down there, most of the travellers prefer to go in sunny Queensland. I remember once, in the middle of the swede season, a friend and me we took one week off to visit Launceston and Hobart. During this week, we got offered two other jobs in Launceston without even looking for it. They were crying for workers and couldn’t find any. But in the summer, as Celia just told you, it’s not that easy! PTW: What is your advice for people looking for work in Tasmania? Celia: Book a job in advance before moving to a new area! This way, you will not to come to a place for nothing (like me!) Then, being able to move to other areas with more picking opportunity is important too. And finally, try to have some savings in case of “bad plans”, to make sure you don’t get stuck somewhere or with a job you don’t like! Ben: First of all, get a vehicle! Tasmania is a lot bigger than most of people think, and many farms or orchards are quite remote. 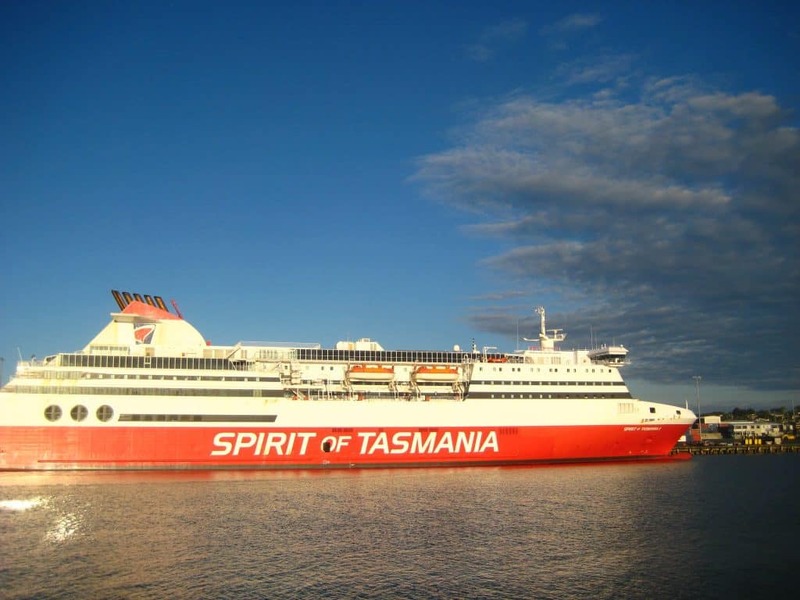 Also, you have to be aware that the ferry to go to Tasmania can be quite expensive. You should try to book it early, as it’s often cheaper. Then you’re better to stay in the Island for more than a month, otherwise you will probably spend more money than what you will earn. The best is to arrive in mid-December, just before the cherry season starts. For the best farms, it can even be wise to call them as soon as October or November. Then if you are keen on staying after the cherry season, move to Devonport, as there are many jobs in the veggie farms in this area from February to June, and even through the winter. PTW: So, tell us more about your swedes picking experience. What is a swede anyway? Celia: All I know about swedes is that it is a vegetable, and that I don’t like the taste of it too much… ha ha! But I’m sure Ben will know a lot more than me on this matter. Ben: It’s probably the less fancy vegetable ever! 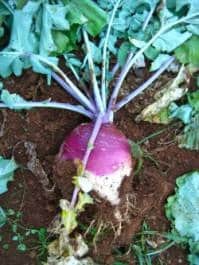 It’s actually a kind of giant turnip from the cabbage family. 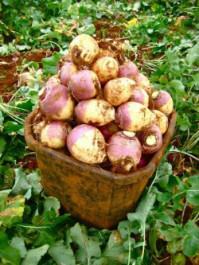 Another name for it is “Rutabaga”. You can eat them raw, (grated like carrots) but most of the time people rather use them in stews. PTW: How did you find this job? Where was it? Ben: This job was for a contractor called Glenn, and I found it through a working hostel called Tasman Backpackers, in Devonport. 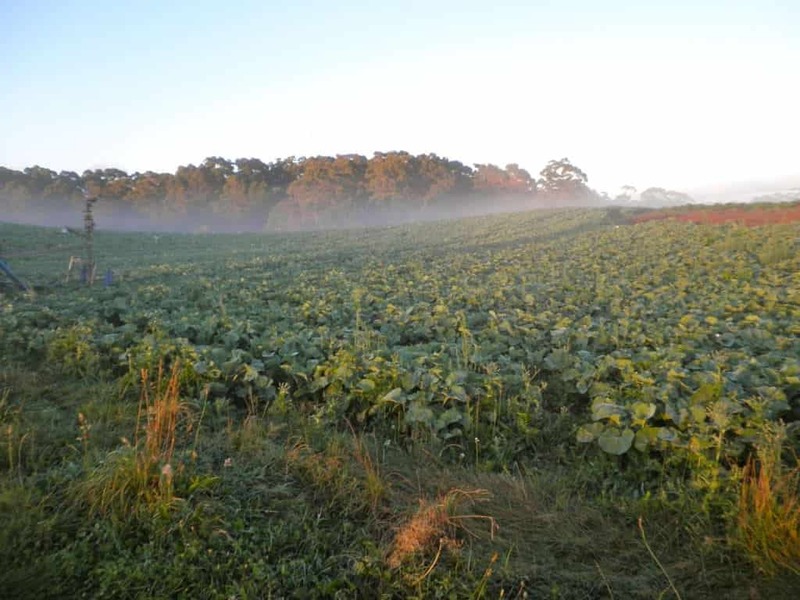 The vegetable company, which was contracting swedes growing to different farmers, was called Harvest Moon. They own a huge packinghouse in Forth, where they also employ seasonal workers. We worked in many different, some as far as 50 km from Devonport. We would drive every morning with our own car. PTW: For how long did you do this job? What is the length of the full season? Celia: We did this job for about 3 weeks. Generally, we had two days off per week, which I was pretty happy about! That was enough for me to save some money to keep on going on my discovery of Australia. After that, I went back to the mainland, in Gayndah (Queensland) to pick some mandarins. But that’s another story! Ben: As crazy as it sounds, the first time I did it for 5 ½ months (from early April until mid-September). The following year, I went back for 3 weeks in February-March. They actually pick swedes for almost 10 months a year in this company (from December to end of September), but they only need seasonal workers for the busy season which runs from April to July. The rest of the time, they only need their permanent staff. PTW: Can you explain us how you pick them (tools, bins, etc)? Celia: To pick swedes you need really good outdoor working clothes. 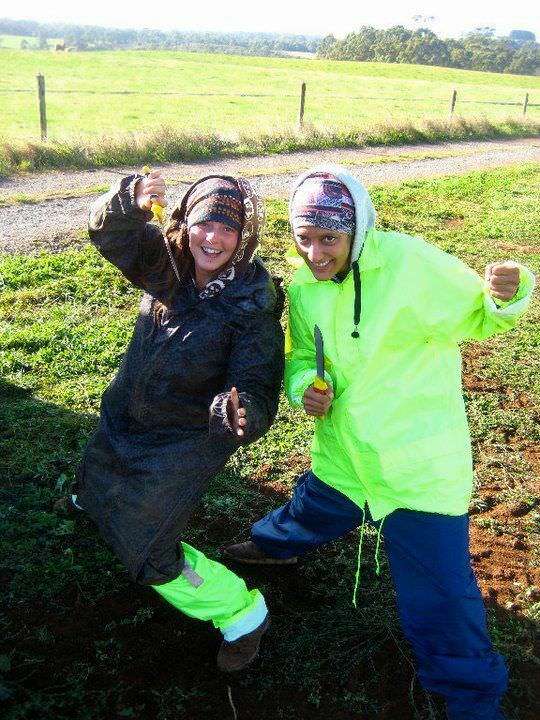 As you work on the ground and the field is quite wet, it gets really really muddy! So you need to have some good gumboots, a rain jacket and some waterproof pants. In this job, you work even if it’s pouring down! 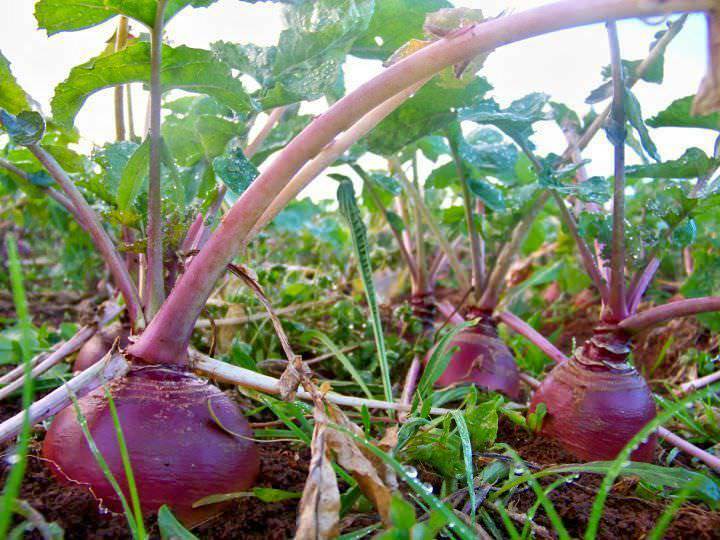 Also, you will need a good knife, well sharpened to cut the roots and the tops of the swedes. You have to buy all your equipment yourself. It can be a bit of money, but the investment is an absolute necessity if you want to perform well in this job. 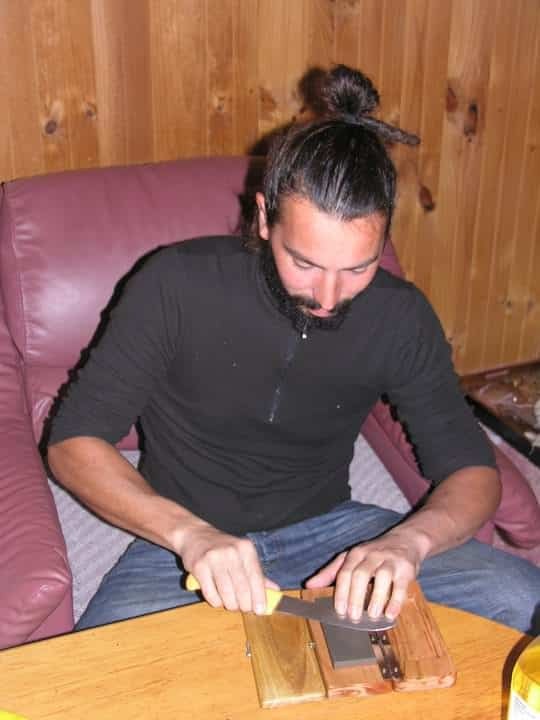 Doing my homework: sharpening the swede’s knife! Ben: Swedes are grown on the ground, on raising beds. 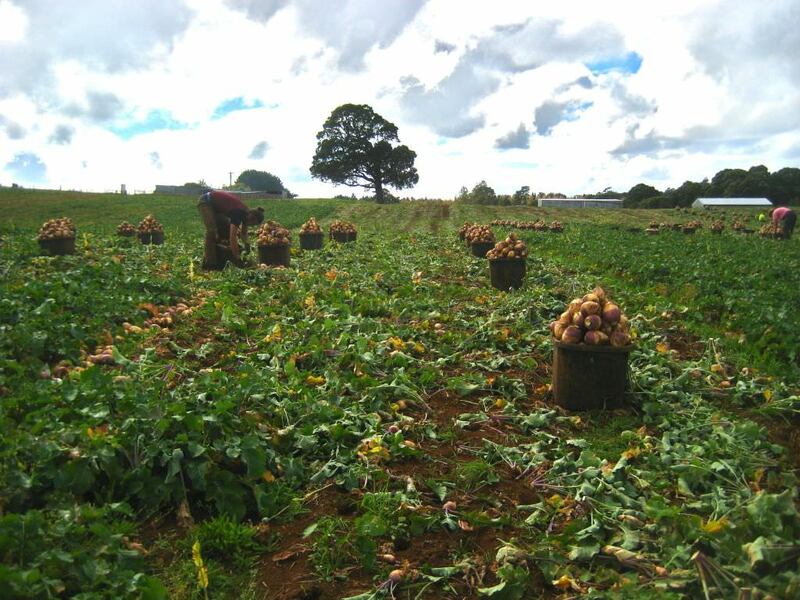 Each trimmer usually gets to pick the swedes of two beds at the same time. You are wearing gloves, and your main tool is a big cutting knife. Some people are working standing up and bending over, others, including us, are staying on their knees all day long. Once trimmed, you throw them into buckets, that can hold about 40-50 kg of swedes.As the buckets are really heavy, you must be two persons when unloading them into the bins. 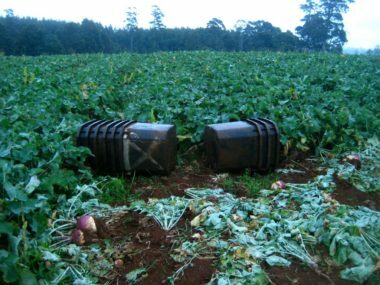 The tractor would come in your row every 1 or 2 hours with an empty bin, and keep following you while you unload your buckets. We were getting paid between 55 and 65 $ per bin, depending on the field and the size of the swedes. PTW: What were the pros and cons of this job? Celia: Well, I have to say that it has been a very rough experience for me! I didn’t enjoy the job so much, not to say that I hated it! I found it really difficult to keep my motivation, especially in harsh weather conditions. If was often cold and wet. The clothes we bought with my friend were too big for us, but they didn’t have any smaller ones. They don’t think too much about girls for this kind of outdoor working clothes! I think that this job was so hard that it made me realize that I would be much more motivated in any other kind of picking job after that. And it actually did work! I have never found a picking job as hard after this one. The best part is that it really made me a stronger person in general. Not that easy to find working clothes that fit a girl! Ben: To be honest, at first I didn’t see any pros, only cons: exhausting job, really muddy and wet, you work even when the weather is terrible (rain, cold, frost,… even snow a couple of time), not really rewarding, badly organized (as it’s often the case in many picking jobs). But as time went, I became better at it, more resistant, and it actually started to be a challenge to try and do the whole season (until mid-September). Also, I was starting to make decent money, I was staying in a beautiful little town called Penguin, right in front of the sea, and my co-workers became really close friends. I felt like it was definitely a good way to have a proper Aussie experience, and to learn more about rural Tasmania. PTW: Did you find swedes picking difficult (mentally and/or physically)? Did you get really tired at the end of the day? Celia: The job was very demanding on the body. Repeating the same movement over and over really hurt my arms. It requires some practice before being quick at it! It’s a bit like doing some juggling with the veggie. My first day, I couldn’t even cut the roots in one shot with the knife! But I had to learn quickly, because I didn’t want to stay there for too long, and I needed the money as soon as possible to keep travelling around Australia. That really what makes me last in the job: the faster I pick, the faster I earn money, and the faster I will be out of here! Ben: I’ve done a lot of physical and repetitive jobs in my life, and I would say that swedes’ trimming was definitely one of the toughest. Not only it’s backbreaking, but it’s also really hard on your knees and on your wrists. You have to listen to your body properly if you don’t want to hurt yourself and/or get Repetitive Strain Injuries (RSI). Some of the people I was working with had been doing it for over 15 years, and you could definitely tell the impact on their body.You certainly have to be strong minded to keep doing this job for more than a week. What helped me a lot is to always keep in mind that the money I was earning would help me to afford a campervan, something I wanted for long. PTW: Were you still up for a party after picking? Did you enjoy your life while working in this farm? Celia: After work I was so tired that I would fall asleep standing. The hardest part of the day for me was to find enough energy after the picking to wash our dirty and muddy working clothes… we had to do it every day because otherwise they would be too heavy the following day. Also, we had to sharpen our knife every day to keep being efficient at work. Ben: On the party side, definitely not! Actually, on my days off I was just doing nothing at all, and trying to recover from muscle aches. It was also taking a lot of my time just to clean the working clothes. But still, I enjoyed my life there; otherwise I couldn’t have handled it for that long. I met a nice bunch of people from all around the world, and we had a lot of good time fishing, cooking and sharing dinners. I’m still in touch with some of them, even five years later. PTW: Did you find that your earnings were good enough? Celia: At the beginning, I thought that the amount of effort for the money I was getting was not worth it…but for sure, I was the slowest of the farm! Then, I managed to get faster, and I found the wages pretty fair. As long as I was making a little bit above the minimum wage, I was happy. Ben: At first I didn’t! I was used to cherry and apple picking where I usually make easily over 25$/hour, but my first week in the swedes, I was barely reaching 15$/hour, even if I was working really hard. But later on, I found out that the field I started in was a really bad one, and as soon as we moved to a new paddock, my hourly rate quickly rose to 25-30$/hour. With more technique and a better knife, I kept improving over the following weeks and in June and July, I was often reaching 40-45$/hour. But the downside of it was short days, only 4-5 working days per week and a lot of travelling time and fuel money. So in average, I was clearing about 700-900$ per week. Overall, it was pretty good and I could realize my dream at the end of the season: buying a nice campervan! PTW: What are your advices for people willing to give it a go? Ben: The best advice would surely be: take it as a physical and mental challenge! If you just look at it as a job, you won’t enjoy it…and you won’t last for long! Over the season I’ve seen probably more than 50 people not lasting more than a couple of days. PTW: Looking back at your experience, would you say that it is something you would do again? Celia: Honestly, I hope I will never do swedes picking again! But if I have no choice, of course I will do it again. Now, I try to be smarter than when I was younger, by never putting myself in a situation where I have no more option! Ben: I don’t regret this experience at all, but I’m not sure I would do it again. The following winter, instead of trimming swedes, I went to Queensland to pick citrus. I ended making more money for less effort. I was probably not making as much per hour, but I was working many more hours, so at the end of the week I was saving more. And even if I love Tasmania, nothing beats the warm winter of Queensland. PTW: Is there anything you want to add? Celia: Dare doing something different from time to time. Go out of you comfort zone, you will be surprised of all the amazing things you can do! Ben: When I first arrived in New Zealand, I quickly discovered the set phrase of the hard working Kiwis: Go Hard…or Go Home! It applies to Tasmania too :-)! If one day, you’re soaking wet and cold, in the middle of a Tasmanian swede’s paddock, waiting for the crew boss to finally bring a bin so you can finish your F+$%”g day…keep it up, you’re not the first one and you won’t be the last!